Michael Patrick's "Ring of Fire" band stems from central NJ and is an offspring of the successful country-rock group entitled "The Suburban Hillbillies." While the original band continues to tour locally, it's members have put together this special project.. A tribute show to honor and pay homage to one of their musical icons - Mr Johnny Cash! In recent years the group and its members have shared the stage with Cash Family members: Rosanne Cash, Joanne Cash, Kathy Cash,& Mark Cash, They have also performed nationally with Randy Travis, Gary Allan, Marty Stuart, Carlene Carter, Billy Joe Shaver, Jimmy Tittle, Marshall Tucker Band, Outlaws,Commander Cody, Bill Kirchen, David Allan Coe, and Hot Tuna. 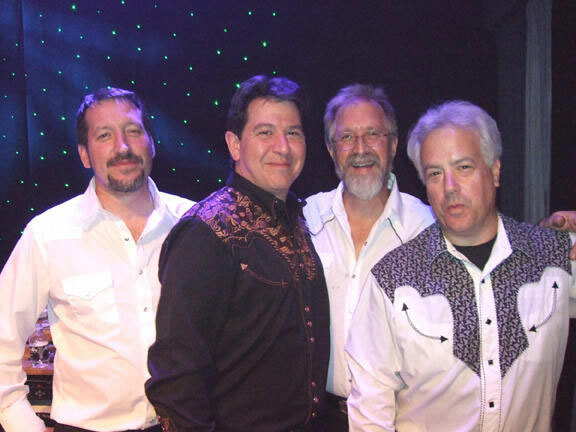 With annual sellout shows at BB kings in New York City, and return dates to many summer township concert events, Ring of Fire is a hot ticket. The music of the legendary Johnny Cash Will live on for ever and fan attendence at the bands shows proves it over and over again!